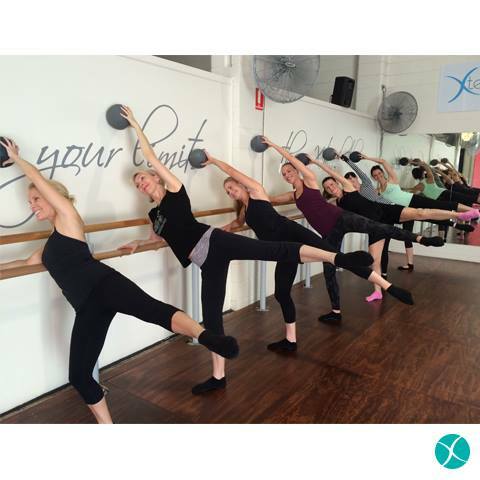 Xtend barre is an incredible workout which combines ballet elements with pilates and cardio. It also features the use of weights, straps, bands, etc! I have been taking Xtend Barre class for just over a month and a half now I do believe. As some of you may know I also do actual ballet including pointe and pilates too. You do not have to have any previous ballet experience, this class is for everyone! If you are looking to get a lean and sculptured body, this class is for you! Before I go into a written review, here is a video summing up the class too. Excuse how rough I look lol. 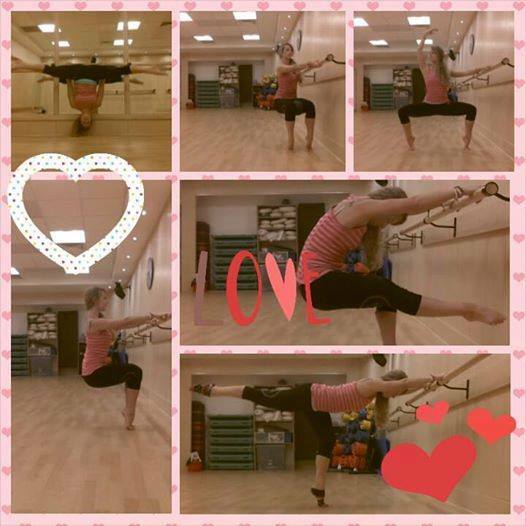 I take Xtend Barre class at a nice fitness studios based in Leigh-On-Sea in Essex called Clements Place. Having been past it many times I decided to finally take the plunge. You do however need to book in advance as it’s super popular! The cool thing is though, Clements Place also allows use of an app for your phone so you can just book into classes using that for ease! Yay! You can also find Xtend Barre classes at Danceworks in London near Selfridges. There are also a few more located around the UK. However, it is still growing so watch out for more! Plus you could also email them to see if they can find an instructor willing to start near to you. If you do actual ballet you will find it hard to break out of focusing on the best turn out you can possibly achieve and straight legs and knees… Xtend Barre has a tendency to focus on softer knees more often and in arabesques they focus on a soft bent front knee – which, if you are used to actual ballet it feels incredibly bizarre! You could have bare feet I guess but you wouldn’t get much swish in certain exercises so I would say go for socks. Unless you do ballet already then wear your soft ballet shoes. The class starts in the center with a nice warm up. You can select some hand weights to use if you want but it’s not mandatory. For my very first Xtend Barre class I did use the lightest weights and truly regretted it and wished I just used the weights for the actual arm section only! BE WARNED! If you haven’t got great upper body strength please stay away from using hand weights for the warm up till you get stronger! I ached sooooo bad the next day! Aching is good and feeling the burn is great but when you can’t move that well the next day you know you have gone too far lol! The warm up is fairly fast paced and incorporates use of plies in first and second, arm positions in first, second and fifth, plus releves, lunges, tendus and even some classic step moves such as grape vine. At my class we then have a tendency to move onto some mat work. With a variety of exercises quite similar to pilates. Focusing on chest, core, arms, legs etc depending on what the instructor is feeling for the class that day. I do personally have a tendency to cool down too quickly. So I find myself feeling like I have to warm my leg muscles back up after this section. We then progress onto the barre itself. With a mixture of exercises. Sometimes using the aid of the ball or strap. After that we go back to mat work usually focusing more on core by this point. All in all, Xtend Barre is an incredible workout for the ENTIRE BODY! It’s also super fun which I find to be important when finding an exercise class I want to stick with. It also gives good challenge and you can always learn and improve. Like ballet itself! It also provides me with a great supplement to my ballet and pilates classes and really helps me with my core stability whilst en pointe. At Clements Place Fitness Studios based in Leigh-On-Sea in Essex they host a variety of classes for all levels and also have a gym too. It’s tucked away in clements arcade just on The Broadway. It is easy to find and the staff are friendly and helpful. They also answer emails quickly and the studios are well presented and spotlessly clean. They currently have 3 instructors who teach Xtend Barre. I have had classes with 2 of them so far: Lauren and Michelle. Both instructors were great! I would also like to try a class with Sallie but sadly at present I cannot make one of her classes yet. Clements Place also has lockers available and a nice changing area. The studios are always well staffed and have a good vibe about them.